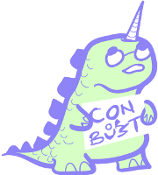 In a continued effort to make ConFusion a place for everyone the con has donated 2 memberships to Con or Bust. Con or Bust, Inc., is a tax-exempt not-for-profit organization that helps people of color/non-white people attend SFF conventions. It is funded through donations and an online auction held annually.